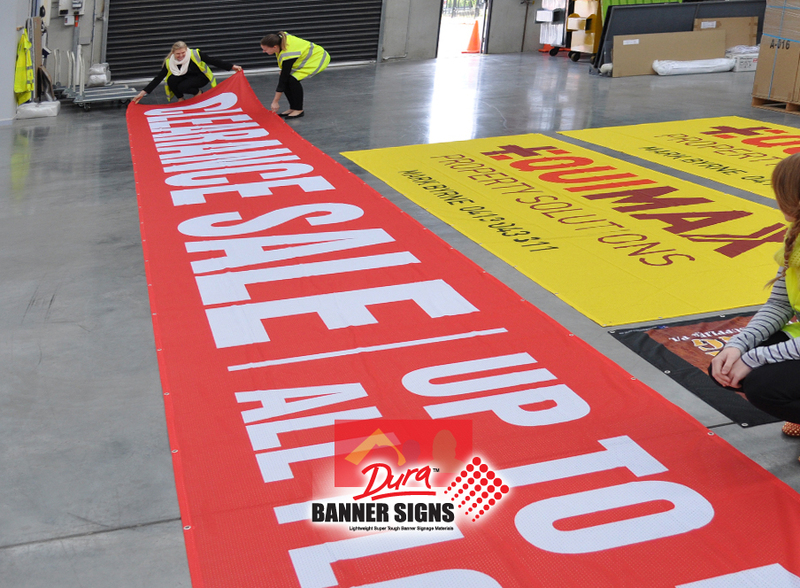 Modern DuraBanners PolyFabric Banners replaces vinyl pvc, scrim and screen printing banners. DBAB is a single sided 'coated' for ink application one side only. 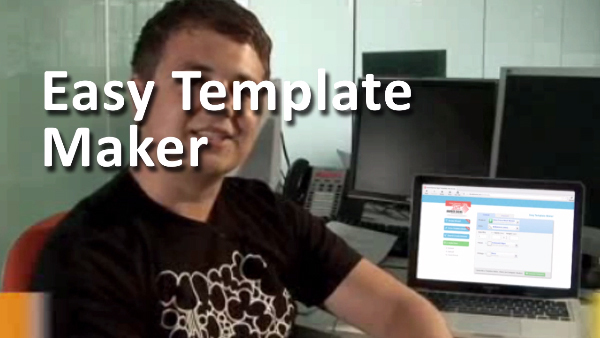 Considered 71% opaque it shows through when hung and appears opaqua when placed against a wall or backboard. #2 Small to medium sizes: 10' to 40' 3m to 12m square. #1 Size is unlimited, the size is small to medium. Events may order one (1) piece or fifty (50) pieces all custom sized to suit their applications. 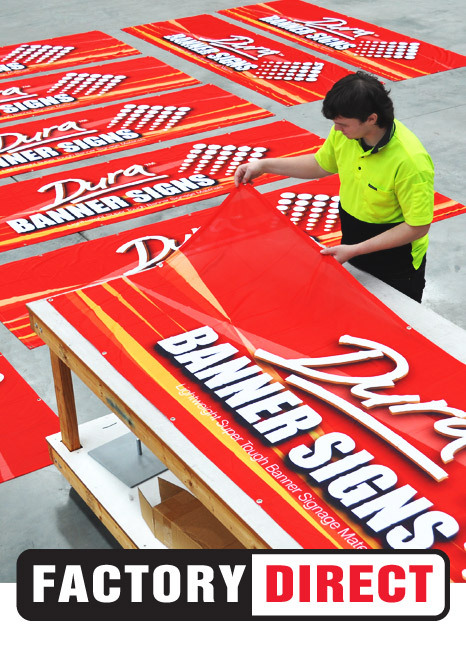 Note: DuraBanners fabric printing banner is commonly purchased for indoor, outdoor banner signage printing and against wall situations, hanging inside store flags, school motifs, gymnasium and exhibition hall hanging banners (flags) and is an alternative to vinyl PVC with lower costs. Order to suit your client and budget set. 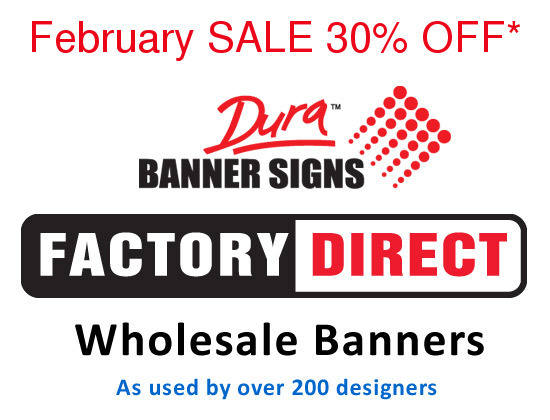 Use as a cheaper replacement for your dealer flags and banners, outdoor signage and banners, indoor flags and hanging ceiling exhibitions etc. The material is ideal against walls and back panels and allows some double sided see through when hung. 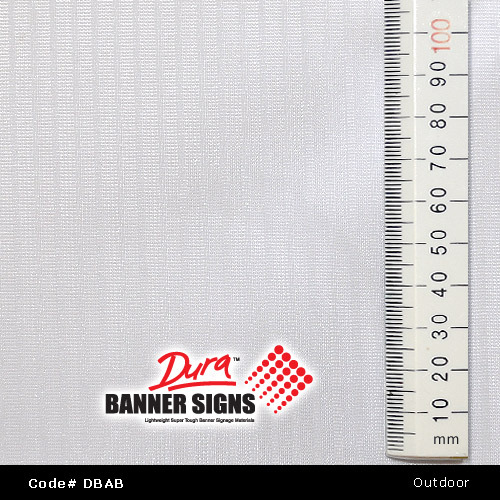 DuraBanners Polyfabric banners can be manufactured with pole sleeves, hook n loop (Velcro), eyelet grommets and specialized features custom to your needs.